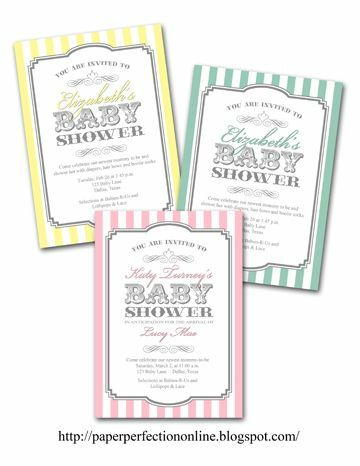 For those that want a classic baby shower without a theme here is a perfect invite that can be made in pink, blue or yellow. If you are interested in this invite or matching party printables contact Paper Perfection at jtanddolly@yahoo.com for pricing and details. I love it when clients send me pictures of their products! 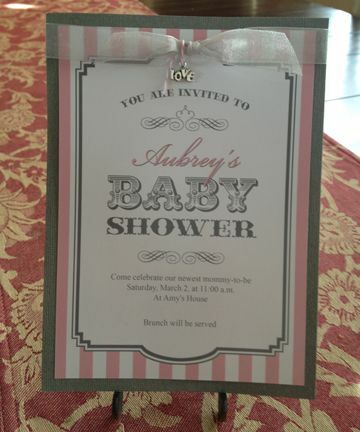 Here is a picture of the finished invite where a client added a silver card stock border, ribbon and charm. She did a great job with the invite!